Cannot see this email? Click here to view the web version. Want a Career in Graphic Design? Graduates of the Graphic Design Specialist program will possess core office skills in addition to learning developing design concepts, Adobe Illustrator, Adobe Photoshop, Adobe InDesign, working with type, and web design. Employment options could include a variety of print companies, newspaper, advertising and marketing firms, as well as graphic design departments. Start dates: March 4, 2019 and September 3, 2019. 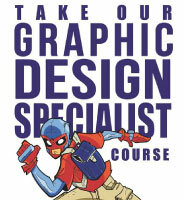 Make an appointment with our program advisor today to know more about the Graphic Design Specialist program! 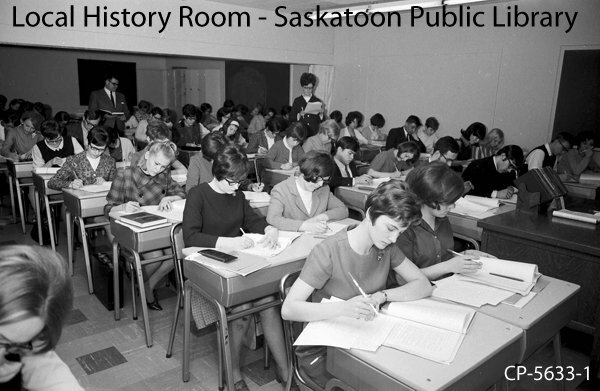 Call 306-244-6333 or email admissions@sbccollege.ca. Call 306-244-6333 to request more information or click here. Over the past 110 years, SBC has continuously equipped students with relevant and essential skills needed to succeed in whatever career they choose. From its secretarial days, SBC has developed a wide range of career programs like medical, legal, business and accounting, I.T. network administration, and graphic design. SBC keeps up with these ever-changing times, providing employers with quality graduates who have the skill set to succeed in the modern workplace. To register, visit Online Learning and submit online or download the registration form. All costs include textbooks where required. Debits, credits, reconciliations, payroll for business and accounting. Learn to analyze transactions and best accounting practices for business. Learn or refresh your knowledge—for medical office professionals. Legal, ethical & professional administrative procedures for medical offices. Taking both the Theory and Lab courses is required to receive a completion certificate for the Medical Clinical Procedures course. Understand the administrative and clinical procedures of a primary health care facility. Practice hands-on clinical procedures of a primary health care facility. Understand the duties of the Unit Assistant, including ordering and stocking of supplies. and assisting patients to appointments within the hospital. Solve and prove simple business calculations and problems for business. Learn to calculate interest, discounts, solve more complex accounting problems for business. EnRICHed Academy is the first of its kind video-based educational program specifically designed to teach students how to earn, save, invest (through stocks & Real Estate), master credit and their careers in a way that is totally entertaining and completely easy to absorb. Study small and large scale economics for accounting and business. Think like marketers by walking them through the decision-making process real marketers’ face on a daily basis on a large and small scale. Learn to manage digital and paper files and records effectively. Enhance business vocabulary through review of synonyms, commonly confused words, plural nouns, and possessive nouns. Gain approximately 25 wpm (words per minute) with accuracy and gain confidence in the workplace. Upon successful completion of this course, students will have gained knowledge of Microsoft Word 2016 Students will also continue to build keyboarding speed and accuracy. For more information visit: www.sbccollege.ca/online_learning or call 306-244-6333. All courses may be used as credit towards a relevant diploma program from Saskatoon Business College. **SBC reserves the right to cancel a class if minimum enrollment is not reached. This email was sent to $Email$ as you had previously contacted us. You can instantly unsubscribe from these emails by clicking here.